Layer parchment paper in a flat bottomed quiche or tart pan (you can substitue a 9 inch round cake pan, but you won’t get the best results with a pie pan). Lay out the ready-made pie crust on top of the parchment paper. Whisk your eggs, cream, and milk. Rub the nutmeg with the edge of a sharp knife to create nutmeg powder over the mixing bowl. Whisk, Whisk, Whisk. 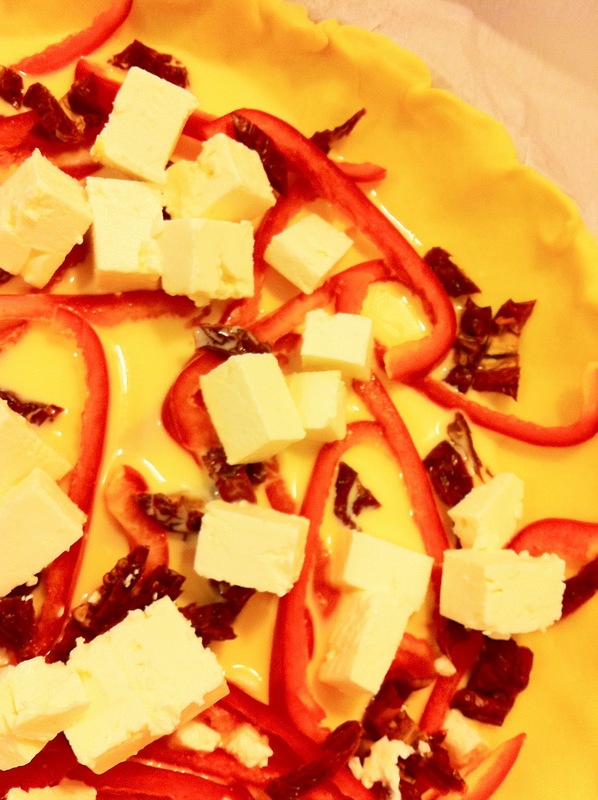 Toss the veggies; cheese, pepper and tomates, in the unbaked crust. 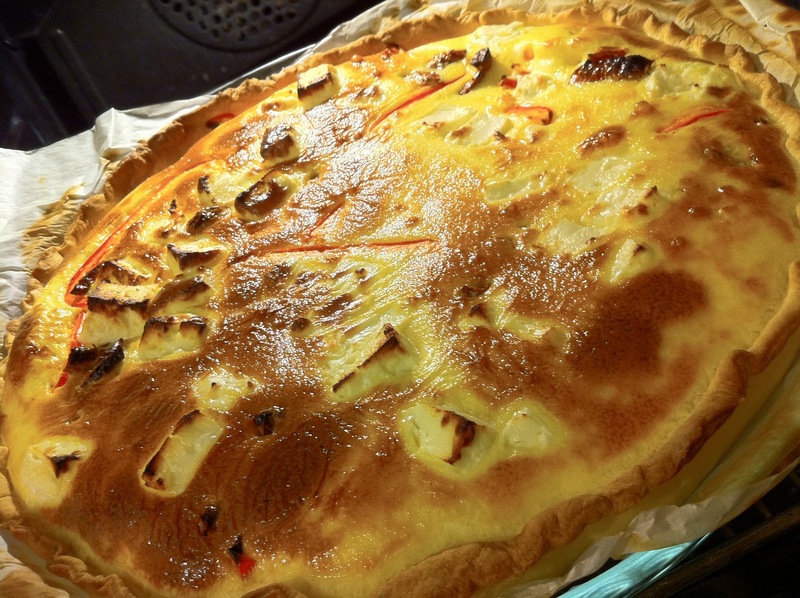 Then whisk your quiche mixture and pour it over the solid ingredients and pop it into the oven on the middle rack. Remove it from the oven when it’s golden on top and solid in the middle.